The TASIS Elementary School will host an Open House at Al Focolare, the School’s Early Childhood Center, on Friday, March 15, from 9:00–11:00. Guests are welcomed to visit Al Focolare, which is located at Via Bora da Besa 9 in Gentilino, to learn more about the TASIS Early Childhood Program, which now includes an expanded Pre-Kindergarten program for students as young as age three. Students who start at TASIS at age three will complete a two-year program designed to ensure their success when they begin Kindergarten at age five. 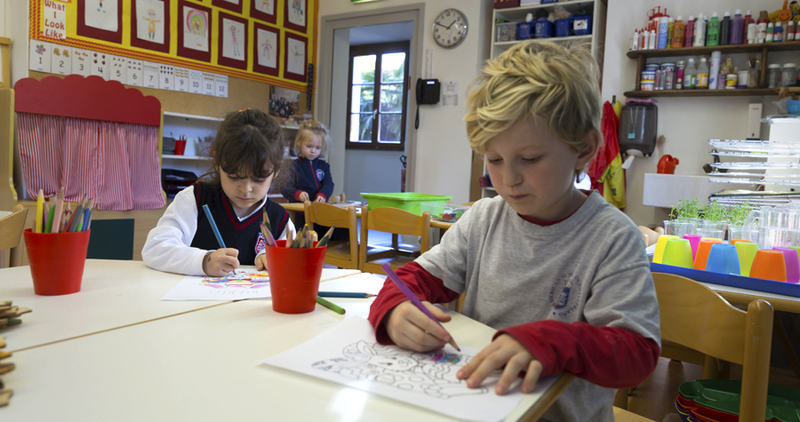 Kindergarten and first-grade classes are also held at Al Focolare, with Elementary School students moving up the hill to the main TASIS campus (Via Collina d’Oro 15, Montagnola) for grades 2–5. See what a typical morning at Al Focolare looks like and read about the techniques TASIS teachers use to help young students learn English rapidly. Founded in 1956 by international education pioneer M. Crist Fleming, TASIS is the oldest American boarding school in Europe. The TASIS Elementary School was added in the fall of 2005, becoming Ticino's first English-language primary school. Since its inception, the Elementary School has grown from 43 students to a vibrant international community of 200 children representing more than 30 nationalities and speaking more than 20 languages as a mother tongue.